Life's Sweet Journey: Great Gift Ideas for a Book-Loving Adventurer!! I wrapped up 2016 with a big mile stone and turned 3 decades old! My 30th birthday was full of wonderful moments with some of my favorite people. Babe and I kicked it off with a cruise and then I came home to a showering of love. One of my love languages is gifts; not because they are presents (though that's nice too), but because of the thought that goes into the gifts. When I can tell that someone really knows me, by getting a gift that has 'Melanie' written all over it, the happier my heart is. This birthday truly showed me how loved I am and how much "my people" truly know me. They know that I am a book-nerd, adventure-loving, full-time-RV-dreamer!! Between my birthday and Christmas, I was feeling all kinds of cared for! I got book upon book and I am not sad about it! Not one little bit!! Between my Rifle Paper print and book, it was an Alice in Wonderland kind of happiness! And oh, how happy my little heart was about the newest Harry Potter Illustrated book! If you too are a Harry fan and haven't gotten the illustrated books yet, you need them!! Flo got quite a bit of goodies too! I can't wait to hang my Happy Camper frame up and fill it with pictures of all our trips. And while I didn't actually get an Adventure Fuel mug, I did gift a few to other people. Giving gifts gives me just as much joy as getting them and I love seeing people get excited about their mugs! 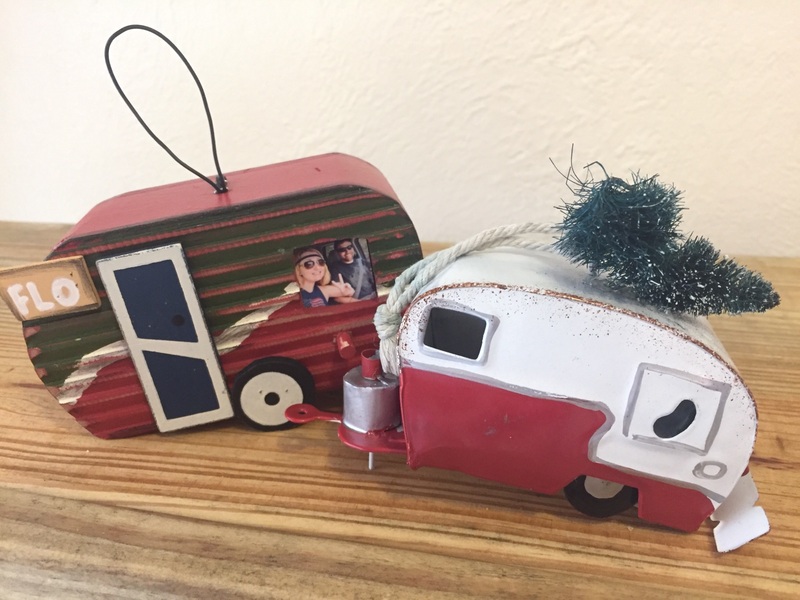 I also got two RV inspired ornaments- one that was made specifically for us- and my Christmas loving heart can't wait to add them to our tree next year (hopefully one that is sitting in an RV window). Sweet Babe filled my stocking with so many little adventure knick-knacks, that will come in so handy!! We play cards every night when we are camping and our cards are getting a little worn! The cool thing about the Survival Tip Playing Cards is that they can easily go in the backpack for when we take a little hike break. I am SO excited about my pocket saw! I make it a mission to collect as many little sticks around our campsite as I can, so that we don't have to buy firewood, and this will help me get bigger ones! We also do a lot of our dishwashing outside, so that we don't fill up our gray water tank too quickly, so Campsuds were perfect so that we are being environmentally safe!! I absolutely LOVE our adventure books that my sister and her husband got us!! I am already adding tons of places to my bucket list (come back Tuesday for 30 places I want to see in my 30s). 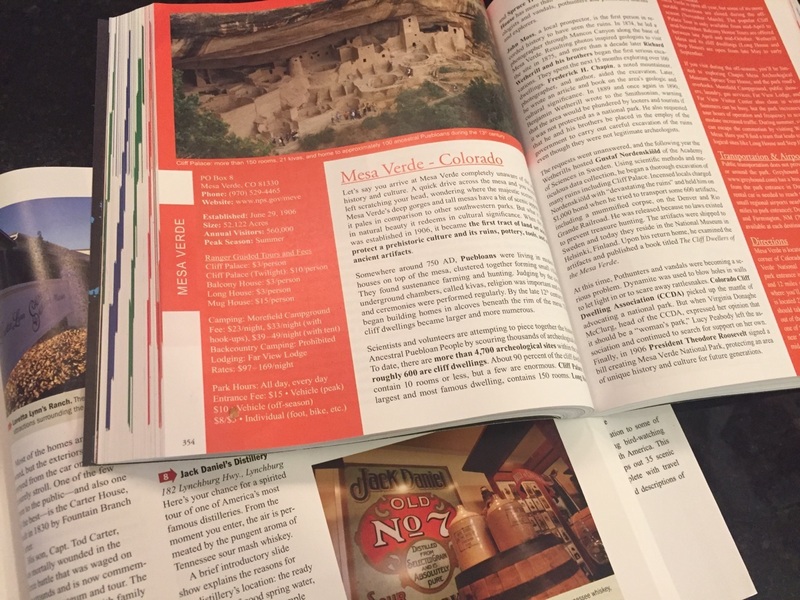 I think one of my top new additions might be Mesa Verde, because how awesome does that look?! It could also be a lot of fun to hit up the Jack Daniels Distillery! My favorite gift though, would have to be our Inflatable Stand Ups! It was the biggest surprise of all and we absolutely love them!! 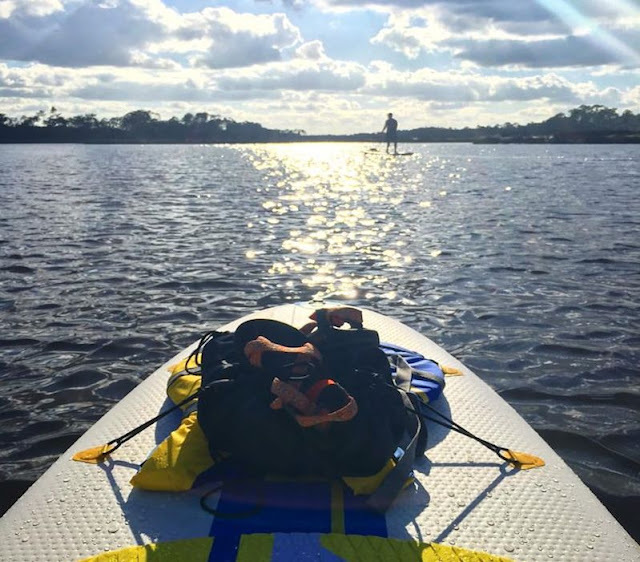 They are super sturdy and, though we did each get one, one could easily hold both of us if we just want to go out for a quick ride without having to blow up two boards. They are Pulse iSUPS, but they don't seem to have a way to get them online yet. I found these on Amazon and they have pretty good ratings! And that's a good little peek at some of the happies that made me feel loved this birthday/ Christmas!! I was quite the happy camper for sure!! What about you? What did you get this year? Any gift that screamed "yeah, they get me!"? My daughter and I share books back and forth so this is wonderful. Will see what she wants to start with. My mom and I do the same thing :) Spread the book love around!! These are great! My dad would love the National Parks book, and I think my whole family would want to get their hands on an adventure fuel mug! Glad you love the mug :) And your dad sounds like my kind of guy!! My hubby and I can't wait to start checking some of them off our list this year! I love this and I have always loved connecting books as much as possible with life experiences. Great idea! I couldn't agree more! Books can teach us so much about the life around us! Books are my favorite gift to get and my favorite gift to give ! Love this! Happy Birthday! 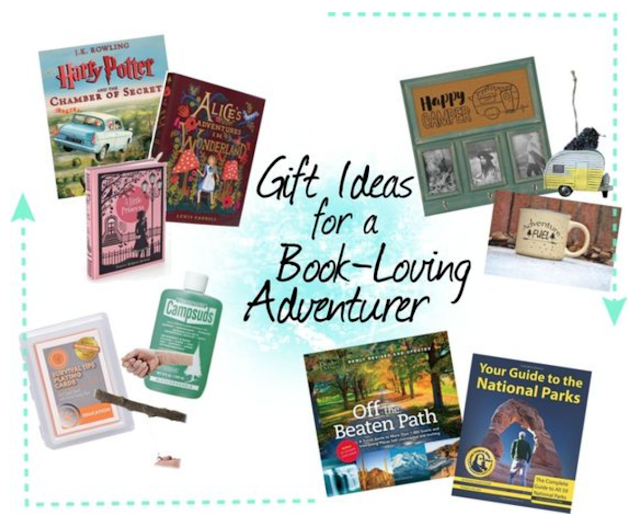 I love all of these gift ideas and want them all for myself...especially the books. Give me all the books! I love getting books as gifts! I just wish I had more time to read.